Väsen: A Swedish word that roughly translates to “inner essence” or “animal spirit.” Also, a new brewery in the quickly developing Scott’s Addition area, just down the street from The Veil Brewing Co. and Ardent Craft Ales. So why the name, and the giant psychedelic reindeer head painted on the wall? Väsen president Joey Darragh and head brewer Tony Giordano, cousins, tracked their ancestry to Sweden and discovered that their ancestors were reindeer herders. Combining that inspiration with an appreciation for the outdoors and adventure — Tony and co-founder Nathan Winters lived in Colorado at one point — makes for a unique aesthetic, but it also informs the beer that Väsen produces. Winters heads up the marketing and environmental branches of Väsen; he seeks to make the brewery as sustainable and environmentally conscious as possible. The brewery is largely focused on yeast-forward styles like saisons and various sour ales, and as such, has dedicated part of the company to harvesting and researching local wild yeast strains, yet another aspect of the company that is intertwined with the natural world. Co-founder Jon Warner is the head brewery scientist, and does all of the microbiological research. With his expertise, the brewery is working towards building their own house yeast strain, and hopes to be able to package and make available to other brewers a variety of local yeasts. They also plan to be fully transparent in terms of what goes on behind the scenes of beer production via having information available to the public regarding which beer is in which tank, and at what stage of the process any beer is in at any given time. That all sounds like a lot for a young brewery to undertake, but they seem more than capable — Warner holds a Ph.D., Winters used to do environmental work for Patagonia, and Darragh worked at Tesla early on. The brewery has also been in planning for two and a half years, with lots of pilot batches and experimentation going on in that time period. A recent visit revealed that the brewery had a variety of farmhouse ales on draft (six in total), a gose, a vanilla dubbel, a Belgian Wit, and even a sour stout on draft. Some of those beers are the products of early experimentation, and beers like Nate’s Wheat will likely be mainstays. In terms of beers that brewery plans to put out in the future, a Belgian-style Quadrupel Ale, a barleywine, and a chocolate wheat beer are planned for this winter. Further out, in about a year, more sours will be available — the production schedule for many traditional Belgian-style sours is fairly long-term, with a great deal of time needing to be devoted to the aging of and, in some cases, the blending of multiple beers. Väsen hopes to have 750-milliliter bottles of sours available in about a years time. Currently, the brewery is draft only, but Winters noted that they plan to install a canning line in about four to five months. According to him, the neighborhood has been kind to Väsen so far, and with more food options popping up in Scott’s Addition soon, he sees things only getting busier in the coming months. Twisted Ales Legend is no longer the only brewery in Manchester. Twisted Ales opened up their doors in June, and so far, it seems the reception has been rather warm. The brewery is located in a charming, historic taproom, a building built around the turn of the century. 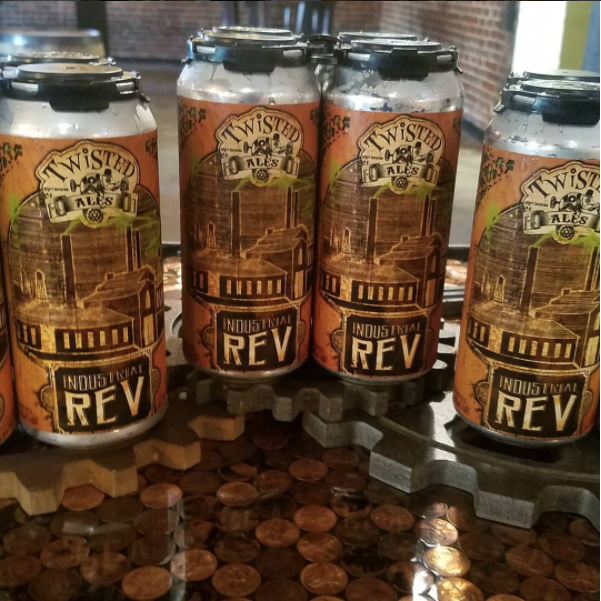 While the brewery is still fairly new, and as such mainly offers draft pours, a couple of recent rounds of canning of their New England-style IPA Industrial Rev have proven successful. 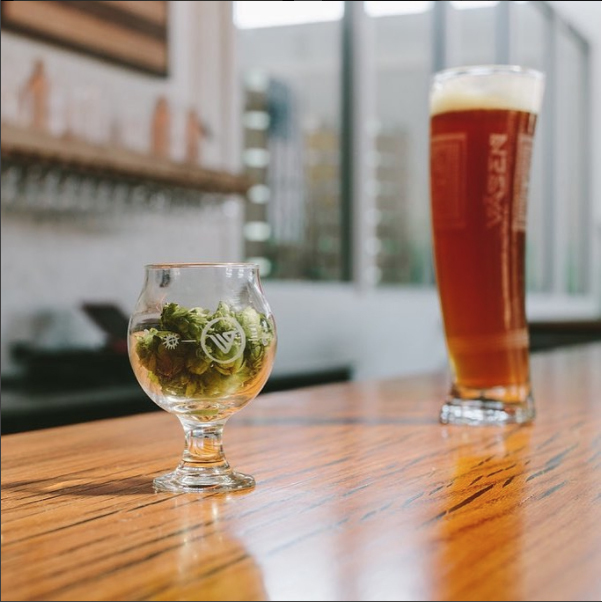 In addition to that beer, at time of writing, the brewery has several other varieties of IPA available, as well as a hefeweizen, a saison, and an English Brown Ale made with espresso. Besides beer, Twisted also offers board games like giant Jenga, trivia night, and live music. The brewery is family-owned and community-minded; they support urban renewal, and they support causes such as FeedMore, James River Conservation, Amy Black’s Pink Ink Fund, and Richmond’s Daily Planet. 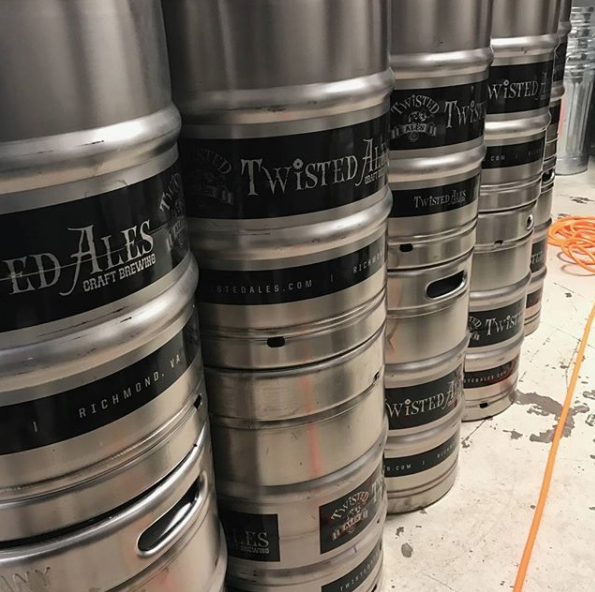 Although fresh on the scene, Twisted Ales seems to be fitting right into Richmond’s beer scene, and more good things can be expected of them in the future. Champion Brewing Company A little ways back in our spring issue, we first featured Champion Brewing Company’s Richmond location, which had not yet opened its doors at the time. 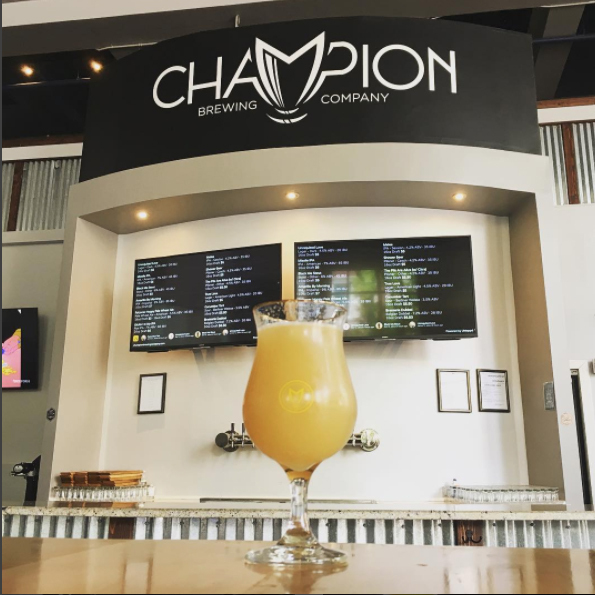 Champion RVA has now been open for several months, and has rolled out some really fun additions to their taproom. While the kitchen mentioned in issue twenty-eight may or may not still be planned, the brewery has installed bar-height “viking tables” for taproom patrons, as well as a wall of pinball machines with varying themes, such as Game of Thrones and Metallica. Additionally, the brewery has begun hosting free shows every Thursday, so far featuring all local acts: The Milkstains, Fat Spirit, Dazeases, Gull, and many others have played so far. Most interestingly, brewing at Champion finally began in September. So far, a Biere de Garde and a Patersbier-inspired Belgian Pale Ale have been produced on the Richmond brewery’s system, and more interesting brews are sure to come. Fall is upon us, and while it hasn’t quite cooled down at the time of writing, the leaves are changing, and pumpkin beers are appearing on the shelves. While pumpkin ales are not for everyone, there are plenty of other seasonal beverages out there to appreciate. 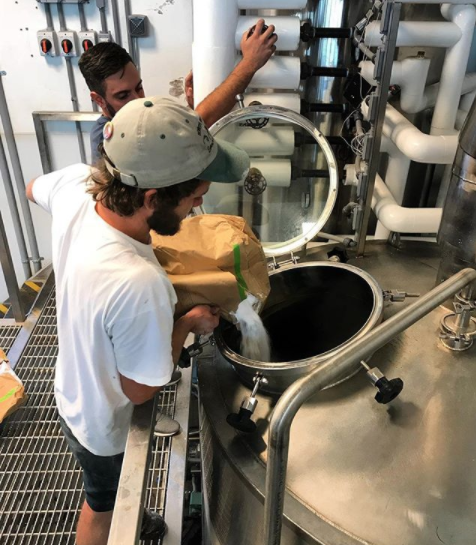 The Veil will be putting out their imperial oyster stout Unloved sometime in October, with an accompanying oyster roast, courtesy of Northern Neck Oysters. The brewery will open early (at noon) on November 24th for a dark beer-themed Black Friday event, Dark Daze. 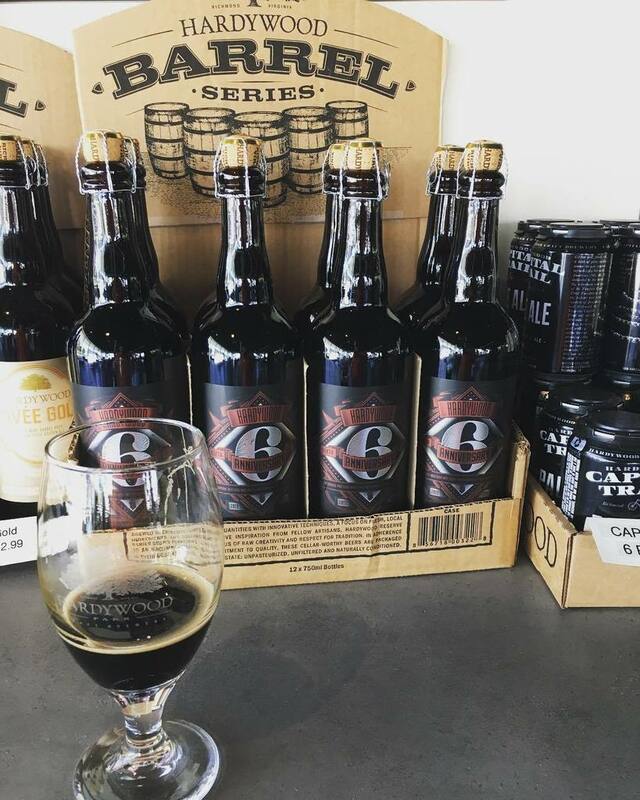 They will have ten plus dark beers available, which so far includes bourbon barrel-aged imperial chocolate milk stout Whangdoodle, espresso bean-conditioned robust chocolate milk stout Double Espresso Hornswoggler, black double IPA blackivy, their anniversary imperial stout Sleeping Forever, plus Vanilla Sleeping Forever, and bourbon barrel-aged 2016 Sleeping Forever. Whangdoodle is the imperial version of Hornswoggler, conditioned on Heaven Hill bourbon barrels for fourteen months. It’s sure to be a decadent treat, and will also be available in 500-milliliter bottles. Additionally, Double Espresso Hornswoggler and Blackivy will be available in The Veil’s usual format of sixteen-ounce can four packs. Also in Scott’s Addition — which now boasts two cider makers, one meadery, five breweries, and one distillery, making it THE up-and-coming neighborhood for brew lovers in the know — the Three Notch’d RVA Collab House has released Reaper’s Red, a low-alcohol red IPA brewed in collaboration with Creepy Hollow Scream Park. The ale is mild enough to continuously sessioned, and the sweeter malt character paired with piney, citrusy Centennial and Cascade hops calls to mind classic red IPAs, but with virtually no detectable alcohol. October saw the release of Hardywood Park Craft Brewery’s Sixth Anniversary Stout, a coffee and coconut flavored imperial milk stout bourbon-barrel-aged for one year. Later that same month, Hoax was unleashed upon the world. Hardywood normally has Trickery, their imperial milk stout Cassowary aged in apple brandy barrels, available around this time of year, but in 2017, Hoax took its place. While Halloween is more about tricks and treats, a hoax will do. Instead of the apple brandy barrels used with Trickery, grape brandy barrels were used to make Hoax, imparting some different characteristics upon Cassowary, with notes of oak, grape jam, fresh plum, and dried date. On November 12th, Hardywood will hold their Fall Harvest Festival, a family-friendly event with carnival games, pumpkin painting and face painting starting at noon, as well as live music from two to five. 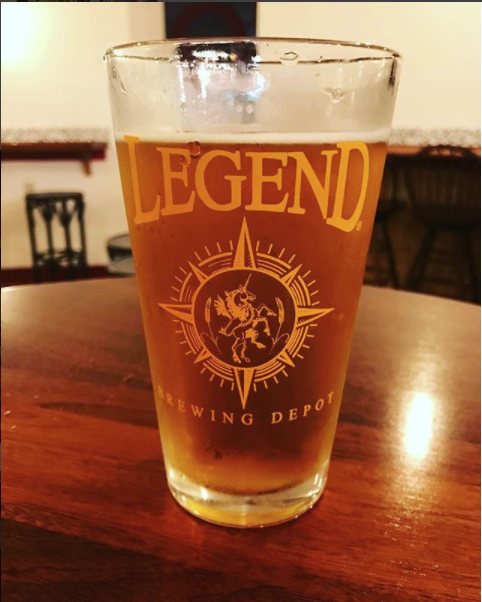 Legend Brewing Company accompanied the Manchester Harvest Festival on October 28th with the release of a fall seasonal, dubbed “Ember Ale.” Details on this one were also unavailable at press time, but one might imagine it to be some sort of twist on an amber ale. What we do know is that Legend’s third Urban Legend release of the year, The Witch of Oak Hill Road, also made its debut in October. The urban legend that it’s tied to was actually spawned not in Richmond, but in Danville, Virginia. On a hill known as “Gravity Hill,” it is said that if one is to leave their car in neutral at the intersection of Oak Hill and Berry Hill, it will roll backwards up the hill towards Oak Hill cemetery, gaining speed as it does. Seems like a risky proposition — you should probably just stick with this high gravity ale. November ninth sees the release of Legend’s Lebkuchen. It’s an American Brown Ale inspired by the German dish of the same name, a savory spice cake that is traditionally made during the holiday season. Brown sugar, nutmeg, molasses, and cinnamon are included in the beer, making for a nice seasonal beverage for those who like their beer roasty, warming, and a little sweet.